Water is a precious commodity in the desert. Dependent upon the CAP (Central Arizona Project) and SRP canal systems to fill our taps and water our lawns with the liquid gold of the Colorado and Salt Rivers, we do not squander our lifeblood frivolously … with the notable exception of Slip-N-Slide Saturdays, of course. Given the grand total of naturally occurring lakes in the Valley of the Sun stands at exactly zero, we denizens of the creosote jungle are drawn to a droplet of water like mercury to the top of a Sonoran thermometer. We weekend at Saguaro Lake or Lake Pleasant. We make semi-annual pilgrimages to the sandy beaches of southern California. We float the Salt River amongst a throng of Memorial Day humanity that is equal parts Coppertone and the AC/DC Back in Black album. We secretly adore the rains that the summer monsoons bring. 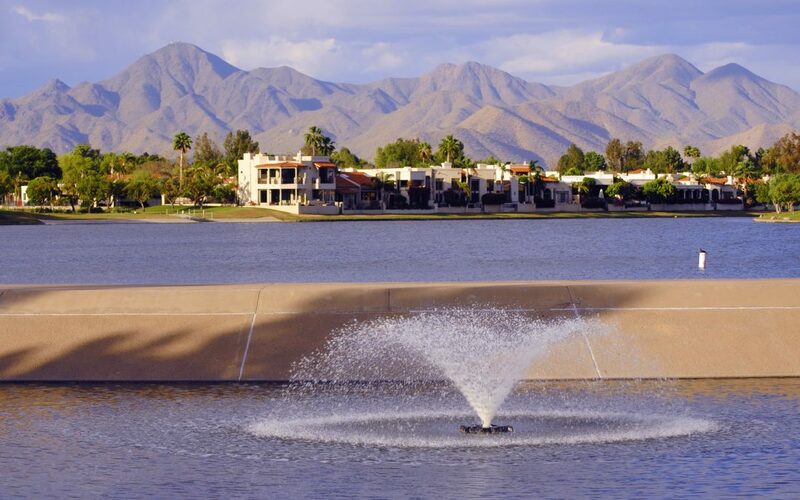 Given our propensity to flock to that which is scarce, waterfront communities are highly desirable locales in the greater Scottsdale area. There are few communities within the boundaries of the West’s purportedly Most Western Town that boast lakes on the list of amenities, and there is a reason for that. 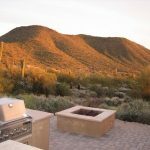 When McCormick Ranch was originally developed in the 1970s, it was to be the first master planned community in Scottsdale. Believe it or not, the Hayden and Indian Bend Rd intersection (where initial development of McCormick Ranch began) was considered North Scottsdale at the time. There was really nothing else around. To lure skeptical home buyers away from the downtown Scottsdale area (what we now refer to as “Old Town”), developers threw the entire kitchen sink at them: parks, greenbelts, walking paths, golf course and lakes. 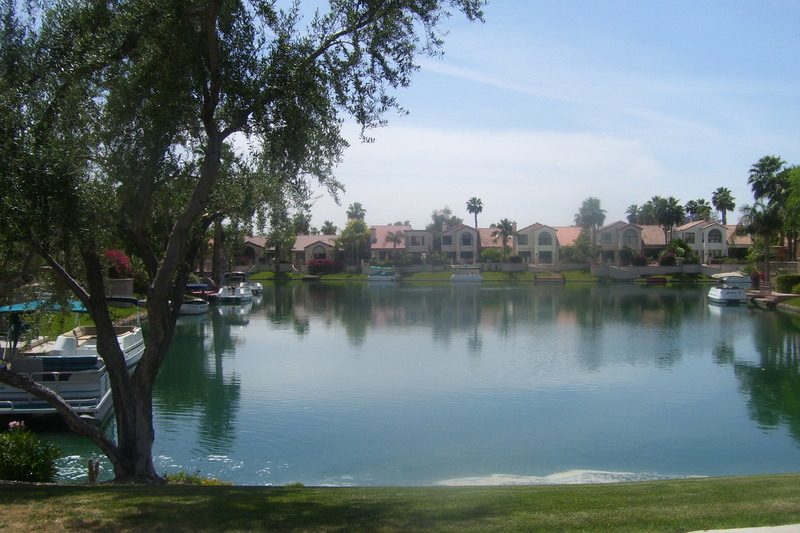 Including Lake Angela, Lake Nino and the crown jewel, Lake Margherite, the community is a veritable desert oasis. When Scottsdale Ranch was developed a decade later, planners adhered to many of the same guiding principles. East of McCormick Ranch, it was built around a lake system, walking paths and parks in much the same fashion. Once again, developers knew they needed to give people a reason to venture a little off the beaten path to buy their product. They were selling a lifestyle as much as housing. 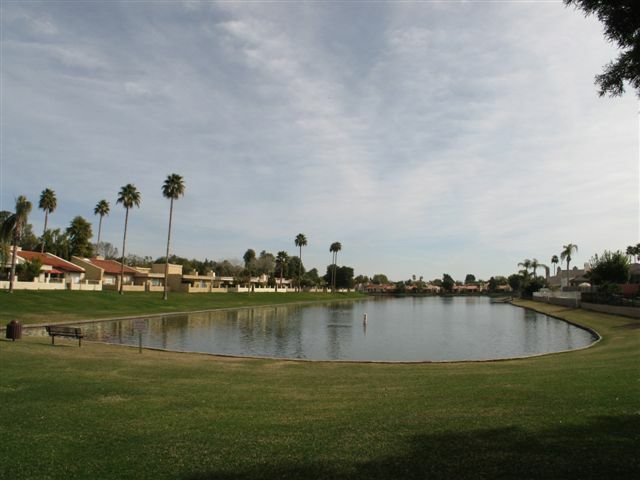 That lifestyle revolved around a meandering 42 acre waterway by the name of Lake Serena. Flash forward a couple of decades and developers, by and large, stopped providing such extravagant amenities. The area had become well established and new residents came in droves. Land values shot through the figurative roof and builders saw no literal need to plop a man-made lake down on a parcel of land that could instead be used to build and sell another 100 or so more houses. 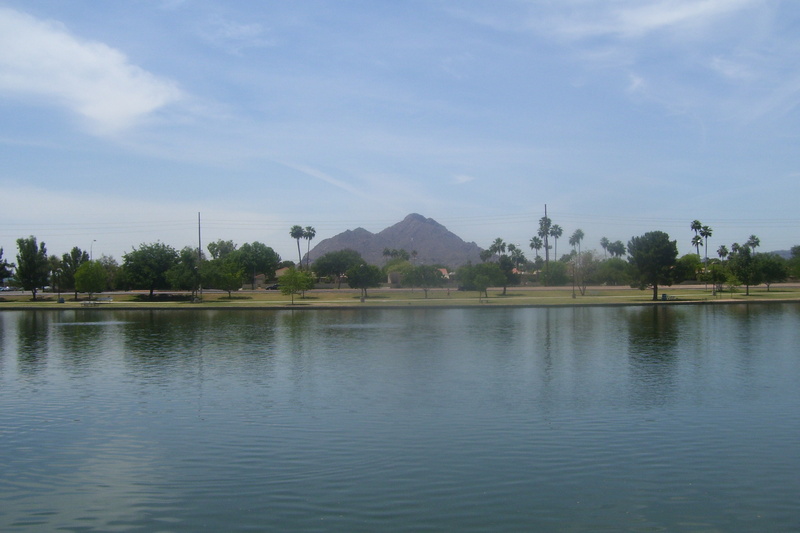 As such, there are relatively few waterfront options in Scottsdale outside of these two master planned communities. They just don’t build’em like they used to. While properties along the water in both developments are typically quite expensive, there are patio home and condo options that fit less extravagant budgets. 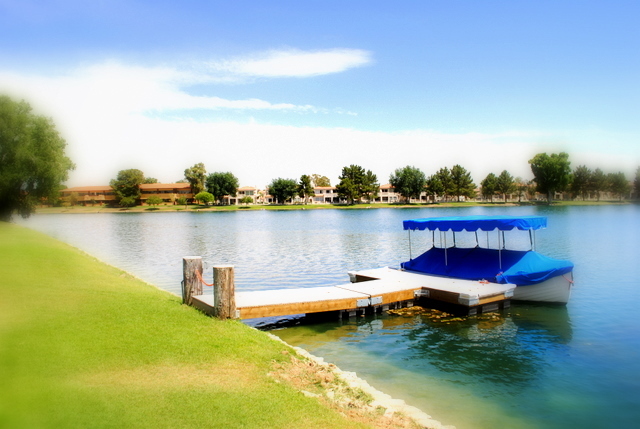 To help you get started with your waterfront search, following is a compilation of lake subdivisions located within McCormick Ranch and Scottsdale Ranch. *You may wish to bookmark this page as each subdivision name will eventually include a link to detailed descriptions and current active listings. It’s a work in progress. 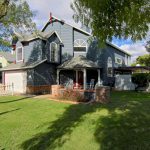 For less costly options that are near the water, but not necessarily located right on it, there are a few older neighborhoods further South (closer to Old Town) that abut Chaparral Park. While the homes (and townhomes) in the area are far removed from the luxury market, it is a great option for those more concerned with location and amenities on a shoestring budget. 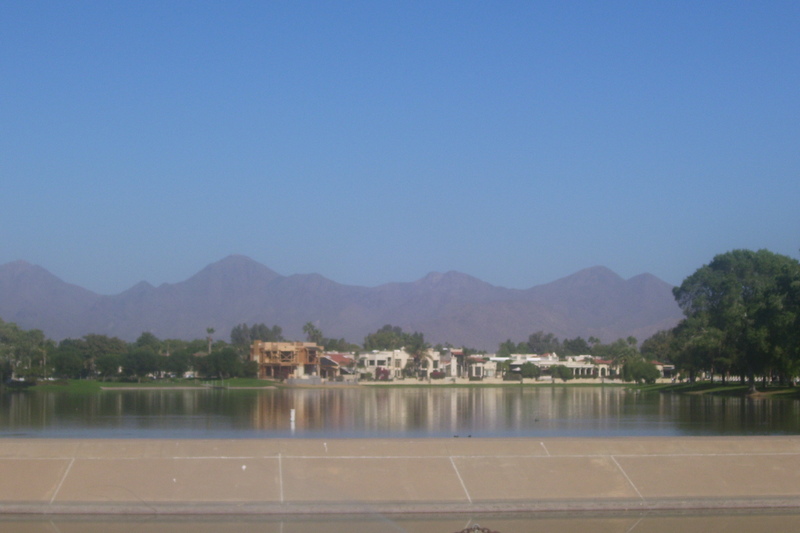 For high end townhomes, there is the Scottsdale Waterfront option along the canal banks in downtown Scottsdale (Old Town). Pages dedicated to these neighborhoods will be added to the site over the coming weeks as well. The right Scottsdale waterfront property is out there. 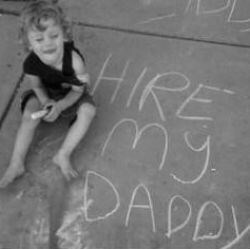 We’ll help you find it. Contact Ray & Paul Slaybaugh today to start the search for your Scottsdale AZ waterfront home!